The theme for the week was sinking and floating. This week, the Time and Tide storyteller Martin Maudsley brought smuggling tales, thrills and riddles to Project TNT to add a different dimension to our experimentation. The session started with our usual icebreaker session testing our memory of everyone’s names before a game of ‘Harbour Run-around’. Then it was time for water. 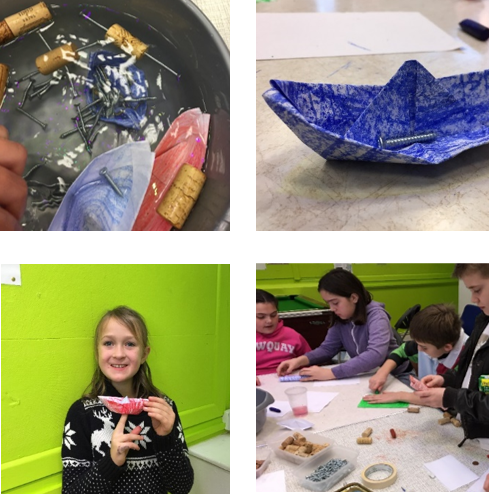 We made Cartesian divers for those who had missed out while Martin taught us some origami skills and explored the properties of paper when wet and dry. We then designed boats for smugglers and found interesting places to hide our goods of screws and pennies. 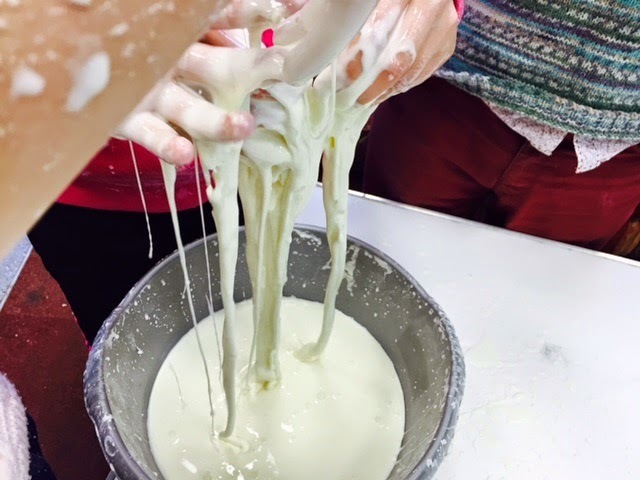 We used 3kg of cornflour and enjoyed hitting it hard to squash all of the molecules together so it looked hard, but when we left items on the surface they would sink. Martin talked about mud and hiding contraband in the mud and how smugglers used their knowledge of the tides to sink boats or boxes so they could be found later, under darkness when the tide went out. While we were experimenting we talked about the smugglers from Christchurch and developed ideas for pirates names such as Barnacle Bill.